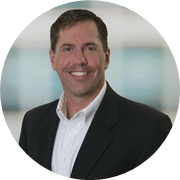 Bob Masterson is a certified Lean Six Sigma Black Belt and Change Management leader with over 18 years of driving business and organizational transformation across automotive, aerospace and IT companies. Bob also holds a Masters of Business Administration from Lawrence Technology University. As a Manager within the enterprise Business Transformation Solutions function at CDW, Bob has established an internal Lean Six Sigma coaching and training program for coworkers to expand process thinking and build problem solving skills throughout CDW. Since the program’s first introduction in 2015, over 600 coworkers have been trained and certified in LSS and Change Management. Bob enjoys spending time with his family and traveling.